Gianfranco Zola has been reassured about his future as West Ham United manager after meeting the club’s new joint-owners yesterday for the second time. The affable Sardinian introduced David Sullivan and David Gold to his players before continuing the discussions that had started during a two-hour meeting on Tuesday night. As the Italian spelt out his side’s deficiencies and named players he would like to sign for the battle against relegation from the Barclays Premier League, Sullivan reiterated his pledge to secure the necessary players to bolster the squad before the transfer window closes. "I was hugely impressed with Gianfranco and Steve," Sullivan told the London Evening Standard. "It is so great to meet a man who wants to work with us and make the team better. He has a 'can-do' attitude, but with a pragmatic approach. He's a really nice guy. I believe he can be a great manager. We agreed we need at least one striker by the Portsmouth match and the second by the end of the window." West Ham finished ninth last season, but have been let down by mistakes during this campaign and have struggled with injuries to such an extent that Zola was forced to field Frank Nouble, an inexperienced forward, against Aston Villa on Sunday. "We are working to sort out the difficulties," Zola said. "The owners have been very positive straightaway." With a reported £8m in the transfer kitty, the manager is thought to want two strikers — one of whom he hopes to have in place for the Premier League match away to Portsmouth on Tuesday — and a right back, possibly Luke Young of Aston Villa, according to today's Times. However, the club have been told to increase their £1.25 million bid for Benni McCarthy, the South Africa forward who wants to leave Blackburn Rovers because of a lack of first-team opportunities. The unsettled striker, 32, almost joined West Ham from Porto five years ago, and has repeatedly been linked with a switch to east London. The Mail reports the offer is short of Blackburn’s £2.5million valuation for a player who is also interesting Galatasaray. However, McCarthy wants to stay in the Premier League ahead of the World Cup finals in his native South Africa and Sullivan and Gold believe Blackburn can be persuaded to do business. Co-owner David Gold said: "He would be a good acquisition, if that could be achieved. It's possible, but all strikers that are available as we speak are possible." Gold later added on Sky Sports News: "It is a question of 'can we do business?'" Today's Rumour Mill points out that in this morning's Sun, the West Ham owners have decided they WLTM disaffected, sulking, quite tall strikers who want to learn to live again. These include not only McCarthy who "has made no secret of his desire to leave Ewood Park", but also Manchester City oddity Benjani and James Beattie "who is keen to leave Stoke". All have left hopeful messages on Gollivan's Soulmates voicemail looking for "fun, strained photo opportunities, a painful struggle against both relegation and insolvency and maybe more". According to AS, via Goal.com, Gold and Sullivan have also been casting an eye over Ruud Van Nistelrooy, while the Mail have picked up on the rapidly spreading internet rumour that shambling Icelandic gadabout Eidur Gudjohnsen could be about to pitch up, at the same time noting reports in Iceland he is about to sign seem premature. The Express claim an initial inquiry to lure Tottenham’s Robbie Keane to Upton Park has been rebuffed. While the Irishman looks to have been priced out of their early calculations Sullivan has stressed to Zola that he will not impose unwanted players on his manager. Elsewhere, unsubstantiated reports in the French press have linked West Ham with a loan move for Bordeaux’s Argentine international striker Fernando Cavenaghi. According to some the interest is now expected to be firmed up now the Hammers have been taken over. The player has previously spoken about moving to England when he declared, "I know many Premier League players, even if there are not many Argentinians up there. Carlos Tevez, Javier Mascherano - I know them well. Why shouldn’t I follow in their footsteps?" Cavenaghi is reported to be frustrated at his lack of opportunities in the Bordeaux side and Zola has apparently identified the player as having both the strength, experience and hunger needed for West Ham to climb the table and the French club will not stand in Cavenaghi’s way. Of equal significance to West Ham supporters is the news that a number of their better players will not be leaving Upton Park. Before Sullivan and Gold joined the club there were genuine fears that one or more of Matthew Upson, Carlton Cole, Robert Green and Scott Parker would be moved on to balance the books. Such a possibility no longer exists, insist the new ownership team. "Matthew is the captain and his return to the team in recent weeks has coincided with improved performances," said Sullivan. "And we all agreed that Scott, despite a lot of interest, is going nowhere. He is a wonderful player, the heartbeat of the team. Despite the difficult times, he has always been up for the challenge, always fighting for the badge." Ominously, there is interest in Swiss midfielder Valon Behrami, notably from Manchester City, and the Hammers may consider selling if they can spend that money to boost the squad reports the Mail. Sullivan intends to deal with transfers himself, leaving the future of technical director Gianluca Nani unclear. The arrival of Karren Brady as vice-chairman completes the Birmingham City connection at Upton Park, but her salary will be met by Sullivan and Gold rather than the club. "We are fully behind the manager, but I do not want to go into all staff," Sullivan said. "There may be some changes at some level, we are going to look at all sorts of things. We do not rush into decisions. There has to be some savings here. This is a club haemorrhaging money. There may have to be economies, and there is no point saying otherwise. To put things in perspective, I will be earning nothing, David will be earning nothing. We are personally paying Karren's wages for the next 12 months so she is not a burden to the club at all. We are not coming here with baggage which will cost the club money, we are all going to make a contribution at zero cost to the club." Sullivan maintains buying West Ham made no business sense, but believes the future can still be bright. "We are inheriting liabilities and are going to have to work through them. We are taking over an incredibly bad situation. However, we will sort it out because we are good at it." That as maybe, but the Guardian's Marina Hyde thinks the 'self-styled Stanley Baldwin' has taken on the West Ham messiah role, underlining his descent into ostentatious insanity by sweeping into Upton Park wearing what appeared to be Ian Wright's smoking jacket from the Chicken Tonight advert. Although, she observes, inevitably his status as one of our premier jazz mag-nates saw the garment draw comparisons with Hugh Hefner. Somehow, though, the echo of that other smoking jacket aficionado Noël Coward feels most appropriate. It's not so much Sullivan's debonair charm – though that is undisputed – more his decision to use the pair's first press conference to position himself as an engaging raconteur. 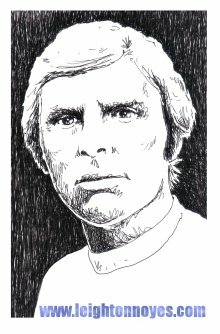 His tale was of the sensationally dire straits in which he and Gold had found West Ham. "It's amazing that two other people wanted to buy it," he told hacks. "Every stone you turn is a negative to the cash flow and viability of the club …" On and on it went, till you could be forgiven for thinking Sullivan was talking dahn the pahnd, as our Cardiff-born Cockney would doubtless have it. Hyde believes the years spent at Birmingham prevent us from seeing the two Davids as naive plonkers in the Mike Ashley mould, and the mad altruist pose they seem to have adopted as similarly unconvincing. Or rather, she posits, unconvincing to all those who how do not accept whatever a new owner promises in the aftermath of purchase, in contravention of all logic. There are those who swallowed Sullivan's and Gold's "Champions League in seven years" line, despite the fact they had just painstakingly itemised a financial dystopia, and offered no glimpse of how they could possibly ever compete with the breed of Premier League owners spending money on which they expect no cash return. Rather like hypnosis, she suggests, this sort of schtick only works if you want it to happen to you. The only people who succumb are those irrationally conditioned to suspend their disbelief rather than to consider the worst. Which is to say, most of us, were it our football club. Only in such a delirious atmosphere could Sullivan possibly dare to style himself as a slightly eccentric, twinkly uncle. "I've got a dodgy heart and David's 73," he declared. "But … maybe we'll beat the odds." God bless you, Tiny Tim. But let's not forget this is the same chap who was once caught on camera attempting to solicit an interview with Cilla Black, whose husband was suffering from what turned out to be terminal cancer, and when Cilla declined the then Sport proprietor left an answerphone message saying he would be forced "to resort to things which aren't very nice for you and aren't very nice for us". Inevitably, the Sullivan-Gold ability to engage the public is not to all tastes. As the Crystal Palace chairman, Simon Jordan, once memorably observed: "If I see another David Gold interview on the poor East End Jewish boy done good I'll impale myself on one of his dildos." I trust Simon has an arsenal of the things to hand, then, as we look to be in for a run of them. Even for the serial optimists, argues Hyde, the alarm bells might have rung at the point Sullivan announced that they'd be asking investors including Tony Fernandes, whose bid for West Ham they beat, to take on a minority stake in the club. "If you imagine a government of national unity in national crisis," football's Stanley Baldwin explained, by now presumably just floating this stuff for a dare, "this is the board equivalent of that." It is worth remembering that Sullivan once said of the acquisition of Birmingham that "what was pleasing was that everything was so badly run that we could only improve it", and he seems to be encouraging people to think of West Ham in similar terms. Eventually, notes Hyde, that messiah complex modulated to an open distaste for Birmingham supporters' aspirations. "It's like when you've been with the same bird for years but you think Miss World is around the corner," he came to rail. "Well, she isn't." But if you compare Birmingham now with the same club 16 years ago when they and Karren Brady became involved, there may be some justification for believing that West Ham have been rescued, counters Graham Taylor in this morning's Express, just expect redundancies in many parts of the club, with cost-cutting a high priority. Although Sullivan and Gold have long admitted their love for West Ham, it should not belie the fact that they are business people. Sullivan has also been quoted as saying: "We are going to have to wheel and deal..." and Taylor expects all player transfers to be conducted by all or one of the governing three of Sullivan, Gold and Brady. It is the way the game has moved. Managers have become more like head coaches as wealthy, powerful owners take charge and want the final say in many aspects of their business. The advantage that West Ham have is that the new owners are English, they have experience of running a professional club and understand the culture of football in this country and what it means to the ordinary man in the street, who over the last decade feels the game has been taken from him. Speaking of Tony Fernandes, the Asian businessman has been telling the Telegraph about his sadness in failing to take control of West Ham United, while also insisting he needed to buy the club outright to make it a success. Fernandes revealed that he had tried to buy West Ham before the Icelandic takeover in 2006 and had also had discussions a year ago when "the price they were asking was ridiculous". Although he would consider David Sullivan’s offer to take the remaining 50 per cent stake in West Ham — and had already received a text from the vice-chairman Karren Brady asking him to invest – he fears that he is unlikely to accept. "I can’t be a sleeping partner," he confesses. "You only have one leader, one strategy." Fernandes outlined five points in his plan although, states Jason Burt, he did not go into too much detail as he does not want it in the public domain. After all, he may eventually become involved in West Ham. On the subject of which, he stated: "I would have to see whether they share the same vision, otherwise it could be a calamity for the club. But I’m never one to say no to anything, especially as I’m very passionate about the club." 1) Fixed the balance sheet, which would involve paying down the debt and “reworking the asset structure of the club”. 2) Invested in Rush Green, the new training ground, very quickly and reworked the scouting system to take a more “French” approach by running an academy on a “European basis”. 3) Brought in new revenues “from a variety of ideas”. He revealed one of these would have been to use technology and social networking sites to make West Ham more accessible around the world. 4) Created partnerships with Formula One (he is team principal of Lotus) to generate money, eg from sponsorship, which would benefit both sides. Fernandes added: "I see West Ham as the unpolished diamond of the Premier League. It should be a larger and more successful club than it is and so, when the chance came around again to buy it, I felt I could do it and fulfil an ambition. I have faith in [manager Gianfranco] Zola and the management team. It wasn’t their fault the club are in the predicament they are in and I genuinely believe Zola will be one of the managerial greats. I made no promises except West Ham would never again be in the situation it finds itself in now. On the positive side the club has a new owner and it has ended the uncertainty." New owners who have made a good start in charge at the Theatre of Dreams That Fade and Die, according to John Dillon in the Express. "Sullivan was honest and he was blunt," he writes. "There are problems at West Ham, he said, and there are debts. So there were no phoney promises about new international signings and no cheap chatter about storming the Champions League at high speed. There was no fake talk professing that he and his partner, David Gold, had always loved the Hammers, especially that Bobby Brooking and his friend Geoff Peters, who so memorably won the Eurovision Song Contest for England in 1956, which is just about how authentic the declarations of love made by the previous regime sounded in an Icelandic accent." There was, however, an instant declaration of support for the manager, Gianfranco Zola, which did bear the stamp of authenticity, given the record of the new owners of Upton Park for standing by their men while they were at Birmingham City, notes Dillon. What a turn-up this is. A take-over of a big English football club by two Englishmen who know the real story of the place inside out. And who have already proven they know about good stewardship simply by the fact that their old manor of St Andrews is still standing, let alone that its team is flying high in the Premier League. Surely, there must be a catch. If there is, it isn’t clear so far, although given West Ham’s record of self-damage, self-delusion and self-inflicted humiliation – particularly in recent years – the fans may still feel entitled to wonder exactly how they have emerged from the carnage of the Icelandic era and the Carlos Tevez affair in such apparently good hands. Sullivan and Gold are far too shrewd to make the same mistakes which cost West Ham so dearly, and they are not without ambition, of course. In that much Dillon, Hyde and Taylor are in agreement. As the anthem says, Upton Park’s dreams nearly always faded and died. Under the Icelanders, declares Dillon, it was particularly painful because they were fantasists, not mere dreamers. And profligate ones at that. A dash of locally learnt common sense from Sullivan and Gold is far more likely to make some of those old dreams come true. Meanwhile, former West Ham owner Eggert Magnusson has lept to his own defence after being accused by David Sullivan of leaving the club "on its knees" financially. Sullivan branded the former regime "crazy" for handing out huge contracts to players that risked the financial health of the club. The £80,000-a-week deal for 30-year-old Freddie Ljungberg in particular was singled out, prompting Magnusson to speak publicly for the first time since he left West Ham two years ago to defend himself against accusations of negligence. "There was much criticism about wages when we signed Ljungberg, Matthew Upson, Lucas Neill, Craig Bellamy and Scott Parker," Magnusson told the Sun newspaper. "Does anyone honestly think I did that on my own? That I did it without the full knowledge and support of the owner, the chief executive and the manager Alan Curbishley? Of course not. And people have quickly forgotten we managed to maintain our Premier League status in that first year – and that was a miracle. Things could have got a lot worse had the club dropped into the Championship. Most of it was down to the manager and the team but I like to think I played some part in it, giving the club belief. I was always positive and we never gave up. And everybody was aware of the deals we were doing, it wasn’t just down to me. Some players will be a success and others will not, whenever you make a signing. It happens at every club. Look at Andrei Shevchenko and Chelsea for example. If people are blaming me, so be it. But I know better and am still proud of my time at West Ham United. Maybe I wasn’t told the right things about the club when I went there. Maybe I was led to believe there was more money available than there was. I was told that there was a lot of money to do things. I still think West Ham may have made a mistake letting Neill leave. He was a superb right-back and a great character in the dressing room. And look at Bellamy. He is playing pretty well at Manchester City and look how much West Ham made as profit out of that transfer." Sullivan suggested in an interview that Magnusson had tried to become involved with the club again during the recent takeover and that the former Birmingham owner dismissed such a notion immediately. However, Magnusson disputes that description of events. "I have never spoken to David Sullivan in my life," he said. "I telephoned David Gold some time ago because I had an investor who I thought might have been interested in the club. Karren Brady called me back and we had a discussion about it but that was it. But I don’t even know David Sullivan. I know David Gold and I really like him. I even sent him a text message last Friday wishing good luck with his bid to buy West Ham. I really believe that he and Sullivan are the best people to be in control of West Ham right now. They have their own money, it’s not paper money or loans from banks. I love the club. They are real football people and they have real football fans." Finally, anybody monitoring events at West Ham over the past 18 months would be wise to consider a few basic points suggests Gabriele Marcotti. First, the club was in dire financial straits (it still is) and reducing the wage bill had to be an imperative. With this in mind, the wage bill was slashed and some £30m profit was made over three transfer windows. Mistakes were made, he notes - Savio Nsereko is one obvious one - but there were many more hits than misses. Think of all the kids from the youth team who made the grade: Jack Collison, Zavon Hines, Freddy Sears, Mark Tomkins, Junior Stanislas ... (And, no, it's not all solely down to Tony Carr and the academy - a brilliant academy can produce great players, it still takes a club with foresight to actually play them in the first team). Think of some of the guys brought in on the cheap who nevertheless have made big contributions: Herita Ilunga, Radoslav Kovac, Valon Behrami and Guille Franco cost around £10m between them. Think of the fact that the previous regime had, in their wisdom, agreed to pay nearly half a million pounds a week to Lucas Neill, Luis Boa Morte, Nigel Quashie, Richard Wright, Freddy Ljungberg, Nobby Solano, Julien Faubert and Kieron Dyer. Think of where this club might have been if the putative starting midfield four of Behrami, Mark Noble, Scott Parker and Collison had - between them - not missed more than a quarter of West Ham's league starts this year. Think of Carlton Cole, newly minted England centre forward, sidelined for two months. Think of Dean Ashton, forced to retire though injury. Think of Dyer, the highest earner at the club, who has started just four league games for West Ham since joining in the summer of 2007. Think of Calum Davenport, victimised by a senseless knife attack. The fact of the matter is that West Ham have punched way, way above their weight since June 2008. The new owners, cautions Marcotti, would do well to remember that. Best Hammers blog bar none. Welcome back. 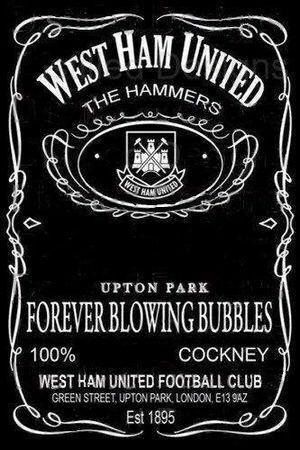 Brilliant post .. best I have read on West Ham to date! Keep it up! !